Muhuyindeni, a descendant of the Prophet Mohammad brought Kubrawiyya sufi order to China. Muhuyindeni is said to have visited China three time. On his last trip, he settled in a village named Dawantou in Dongxiang region. All villagers at Dawantou were from the Zhang family. Therefore, Muhuyindeni changed his surname to Zhang and had a Chinese name Zhang Yuhuang. The name of his order was known as the Zhangmen or Dawantou Menhuan. 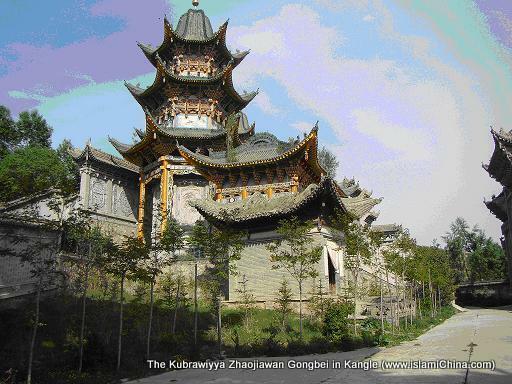 Kubrawiyya adherents lived in Northwest China’s Linxia, Dongxiang, Kangle and Lanzhou. About 1.7% of Chinese speaking Muslim Hui’s population are Kubrawiyya followers. 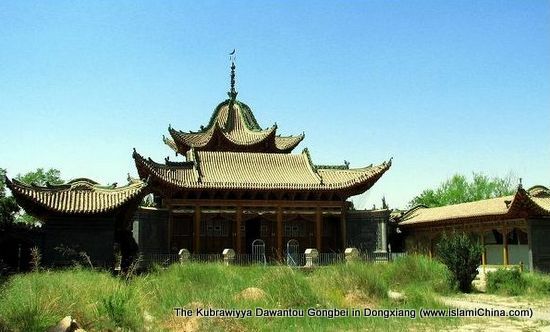 Dawantou Gongbei in Dongxiang: the tomb of Muhuyindeni and his decedents. Gongle Gongbei at Luotuoxiang, Lanzhou.